Amongst the various swellings and bumps that we see in our mouth, a mucocele is probably the least harmless. Mucocele is also known as a mucous cyst or an oral cyst or ranula. Usually, mucocele is found in the inner lips, on the floor of mouth, cheek linings and on the tongue. It requires little or no invasive treatment. Oral cysts are mostly painless and don’t cause significant complications. Effective home remedies for mucocele are turmeric paste, aloe vera gel, glycerin, salt water rinse, ice cube, honey, etc. A mucocele is a cyst formed by mucous build up. It is linked to salivary gland problems. These include salivary duct blockages, stones, piercings and lip biting. Unless it becomes painful or infected, it subsides without major treatment. Do not confuse mucocele with a canker sore which is an ulcer or a mouth sore. Our mouth is kept moist at all times because of saliva secretion from the salivary glands. The saliva is carried from the glands through ducts. If there is an obstruction in the ducts at any point, saliva transport stops there and enters the connective tissue to form a pool. This pool accumulates into a small bump- mucocele. When there is some trauma to the lips or tongue, a mucocele may form. An injury or a severe blow blocks the duct, and a mucocele will develop there. 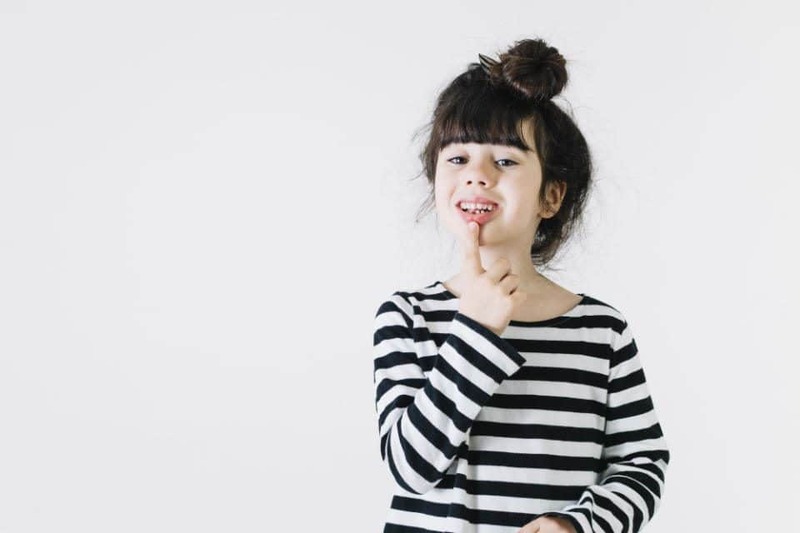 If you have a habit of frequently biting your lips, a mucocele arises on your lip because of the injury to the soft tissues. Similar is the case with cheek biting. Piercings on the lips, tongue, cheeks require breaking into the soft lining of the mouth tissue. This is also a form of induced trauma, causing a mucocele to form. A less common type of mucocele is a retention cyst seen when there is a stone in the salivary duct. A retention mucous cyst can also occur due to strictures. This means there is a narrowing of the salivary gland duct due to some chemical or mechanical action. Hydrogen peroxide, antiplaque mouthwashes and tartar controlling toothpaste are a few agents that cause strictures. A typical way to differentiate a mucocele from other cysts is color. The mucocele is bluish while most other cysts or pink or red. A mucous cyst is clear, as it is filled with mucous saliva, unlike other cysts containing fluid, bacteria, and dead cells. There is little or no swelling associated with mucoceles. Even the pain is minimal. Your dentist is likely to diagnose a mucocele in no time based on the history of trauma, and it’s site and appearance. A mucocele is most common on the inner surface of the lower lip. (2) You can also get a mucocele on the cheek lining, the under surface of the tongue and the floor of the mouth. The mucocele on the floor of the mouth is called a ranula. Rarely, you will have a mucocele on the upper lip or the sinuses of the face. These include the maxillary sinus and the paranasal sinuses. In fact, these mucous filled sacs can also be seen in your gallbladder or appendix. A mucocele though typically small varies in size and the symptoms depend mainly on the location and diameter. Most mucoceles are not painful but can be uncomfortable. You will feel discomfort while speaking if the cyst is on your lip. For superficial mucoceles, you may see a raised bump, with red or blue margins. If the cyst is in the deeper tissues, you may feel some tenderness over a round swelling. The size of the lesion varies from less than a centimeter to four-five centimeters. Mucous cysts are soft to touch and mostly non-tender, often with a pearly appearance. These cysts appear in children, adolescents or young adults. Finding them in middle-aged individuals is uncommon. If the mucocele gives you continuous pain or enlarges in size, it is best that you consult a dentist to rule out any other tumor or malignancy. A mucocele may be an extravasation type or a mucous retention type. Clinically both look similar, but an extravasation type is seen most frequently on the lower lip or tongue. On the other hand, you may find a mucous retention cyst anywhere in the mouth. The mucous extravasation phenomenon is primarily because of trauma, whereas a retention cyst is because of obstruction or damage to the salivary duct. Mostly oral cysts resolve on its own. But you can go for several home remedies for accelerating the healing process. Also, these natural treatment options can provide you relief from associated discomfort and pain. Honey has antibacterial and anti-inflammatory properties which can reduce inflammation and provide pain relief from mucocele. You can apply honey directly to the affected area and leave it for 15 to 20 minutes. Repeat the procedure for 2 to 3 times a day. Salt water gargle or rinse has many benefits for maintaining a good oral hygiene. Mix ½ tablespoon of salt in 1 cup of warm water. Do salt water rinse for 2 to 3 times a day. Salt water will help in removing mucus from the mucocele. You can even directly apply an ice cube on oral cyst for 30 to 60 seconds. Ice will numb the pain and provide relief from discomfort or irritation. Glycerin has antiseptic properties. You can apply glycerine at the affected area and let it rest for as long as possible. It will make the area moist and fight the microbes. You should use vegetable glycerine for oral application. Aloe vera gel is very effective in treating oral cysts since It has anti-inflammatory properties. You can extract aloe vera gel from aloe vera leaf and apply it directly to the affected area. Let it rest for 15 to 20 minutes and then rinse your mouth with lukewarm water. Repeat the process for 2 to 3 times. You can even rinse your mouth with aloe vera juice. Turmeric is a popular antiseptic, antibacterial and anti-inflammatory agent. Mix 1 tablespoon of turmeric powder in honey or milk to make a paste. Apply this paste directly on the mucocele and let it rest for 20 to 30 minutes. Later, you can rinse your mouth with lukewarm water. Repeat the process for 2 to 3 times a day. The treatment of a mucous cyst depends on three main factors- the size, the location and the degree of pain or discomfort that it is causing you. Depending on all these factors, your dentist will recommend that you remove it by a laser, or another surgery or even wait for it to resolve on its own. These are the most harmless and least complicated types of mucoceles. They are just there without any pain and minimal discomfort. Superficial mucoceles resolve on their own most times. You must be careful to not repeatedly touch them, or try to pop or break them. The time in which mucoceles heal varies from a few weeks to even months. More prominent cysts can be surgically removed from the mouth using a technique called marsupialization. (3) In this method, the surgeon removes the saliva from the cyst after putting a suture through the mucocele. After a week, suture removal is carried out. Sometimes your dentist will advise you to remove the salivary gland where the cyst is. This is to prevent recurrence of a mucocele, or as a corrective measure if you have a cyst in the same place multiple times. In this procedure, alternate cycles of freezing and thawing are given through liquid nitrogen sprays. The doctor gives local anesthesia, and the temperature can be anything between -15°C and -50°C. Once the cyst is frozen, it undergoes stages of inflammation and edema, and finally resolves within one or two weeks. However these should only be administered under the guidance of the dentist, and if there are any adverse effects, you must stop it immediately. As we know by now, a mucocele is a benign cystic lesion. It has no significant complications except for severe pain and discomfort. You must only be cautious that if you notice any change in size, color or tenderness, you should see a dentist immediately. They will examine you to rule out malignancy or any other tumors. Although mucus cysts are harmless but still, they can be uncomfortable lesions in the mouth. It is best to go for home remedies for mucocele for accelerating the healing process. Allow them to resolve on their own. Do visit your doctor if they reoccur or condition worsens. 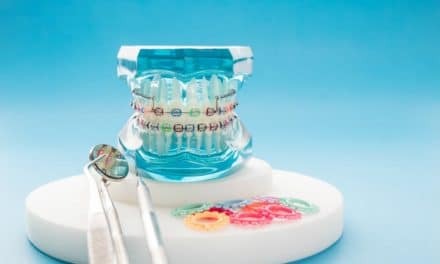 Braces Colors – How to Select the Best Color for Your Braces? You Should Even Take One Sensitive Tooth Seriously – Know Why?